I’ve seen too many fellow human beings die: in some cases directly in front of me; other times via mental images conjured from the reports I review. Most often these have been infants or toddlers – those of us who are most vulnerable and, as a result, least able to withstand malaria-induced anemias and transfusion-related infections and myriad other insults to their bodies. Other times these have been new mothers whose lives were forfeit due largely to a lack of blood products that would (and should) have supported management of their post-delivery bleeding; or healthy young accident victims who might have lived long lives – and in many cases become parents and grandparents and teachers or carpenters or scientists – had blood transfusions been available to them. 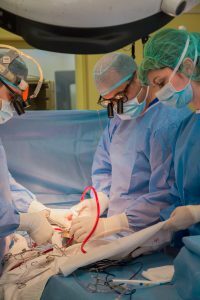 A team of surgeons performs cardiac surgery on an infant in the Republic of Georgia. Safe blood is crucial to any thriving health system. Since 2001, work funded by the President’s Emergency Program for AIDS Relief (PEPFAR) has supported, throughout many resource-challenged countries, the establishment of blood testing laboratories that screen donated blood to prevent transmission of HIV and viral hepatitis. Although this work constitutes a tremendous contribution to blood safety, it, alone, does not ensure that an adequate supply of blood products is produced at an affordable price. 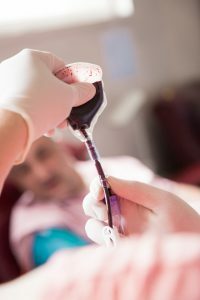 In many countries the cost of a single unit of blood exceeds the country’s total annual, per-person health expenditure. The challenge for the next decade is to build on PEPFAR’s successes in making blood safe and available by helping to develop economically viable blood banks and transfusion services within all developing countries. At the IBSF, experts will analyze the gaps that need to be addressed to accomplish this, help define the investment strategy required to move this effort forward, and begin to identify new potential investors and revenue streams. Together, we can build a base of support for blood safety work in developing countries, thereby increasing access to safe blood to save lives around the world. These are just a few of the reasons why I strongly encourage anyone who cares about the health of others to learn more about the IBSF. I look forward to sharing via future posts the work that Global Healing is doing to ensure that children and mothers around the world have access to life-saving care. Thank you. 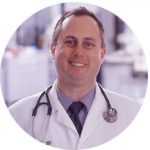 About Dr. Gresens: A graduate of the UCLA School of Medicine in 1991, he is board certified in anatomic pathology, clinical pathology and blood banking transfusion medicine. He is currently the Chief Medical Officer at Blood Centers of the Pacific. His professional interests and expertise include consultations involving complex problems related to transfusion medicine and patient blood management as well as establishment of modernized blood banks in resource-challenged countries throughout Africa, the former Soviet Union and elsewhere.